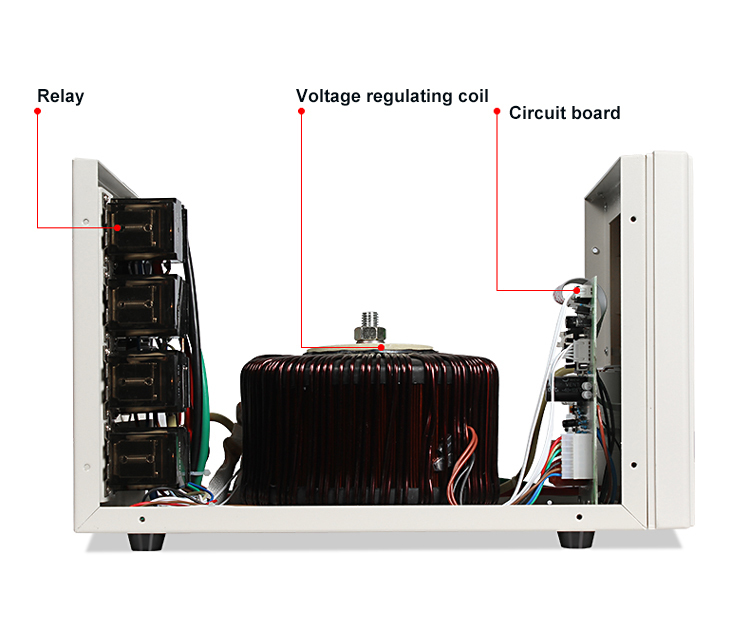 Cheap and high quality 10 kVA Single Phase AC Automatic Voltage Stabilizer for Home used with input voltage range 140-260V, 220V±8% Output Voltage, time delay relay modes, is easy to install and operate, protects the equipment or electronic appliances against voltage fluctuation. 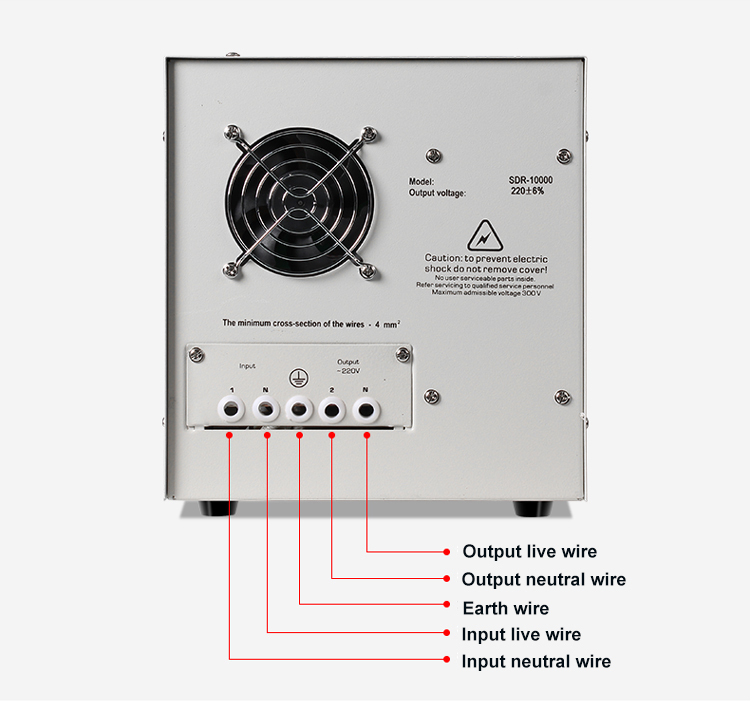 The voltage stabilizer below 3 kVA uses fuse for overload or short circuit protection, and the ac voltage stabilizer above 5 kVA uses small circuit breaker or small air switch for overload or short circuit protection. 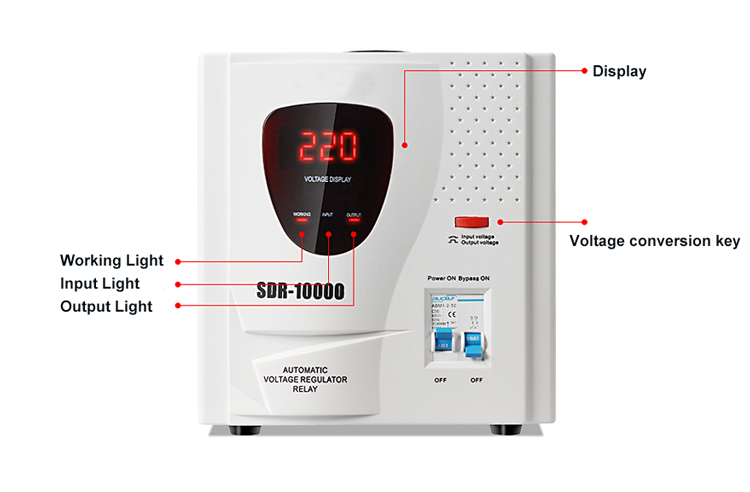 When the voltage stabilizer is working, if fuse is blown or automatic air circuit breaker trips, it should be shut down to check the load and the voltage stabilizer.